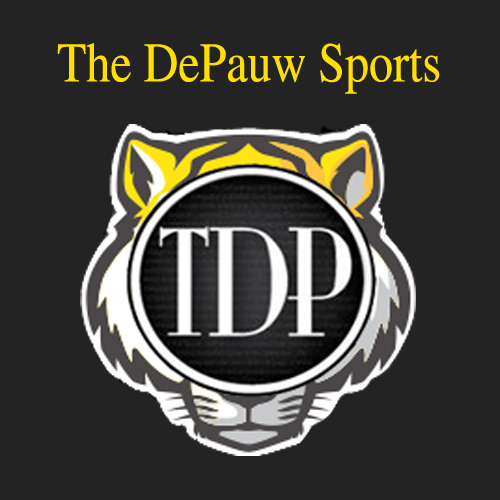 Not much was on the line when the DePauw University softball team traveled to Anderson University for a doubleheader on Tuesday night. The Tigers had already locked up a share of the North Coast Athletic Conference Championship and had ensured that they would host the conference tournament in Greencastle beginning today. “We went into the double header with the attitude that just because conference had been scheduled we still needed to use these games to our advantage in order to prepare for the conference tournament,” first-year Elizabeth Getz said. However, there would be no letdown on the part of the Tigers, as they swept the pair of games from the Ravens, taking the first game 8-4 and then finishing off Anderson 6-5 in eight innings in the nightcap. “Anderson is a good team, so playing our hardest against them allowed us to test our limits so that we can push ourselves as hard as possible in the tournament,” Getz said. In game one, the Tigers quickly took control when senior Taylor Golden hit a three run blast as part of a four run first inning for the Tigers. Golden was back at it again in her next at bat in the third inning, this time hitting a solo shot that would go on to be the game winning run. 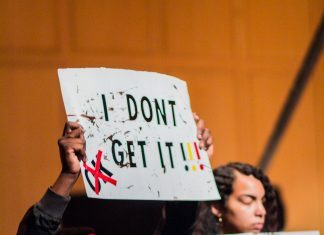 The Ravens replied with two in the bottom of the third, however, the Tigers got to work erasing that effort with two runs of their own in their next at bats. Senior Jennifer Ridge brought home a run with a single and first-year Elizabeth Getz brought home the other with a sacrifice fly. Anderson cut the deficit back to four with a run in the bottom half of the fourth and both teams added runs in the sixth to round out the scoring at 8-4. Senior Kahla Nolan got the win for the Tigers, going four innings and giving up three runs, only two of which were earned, on four hits while striking out two and walking two. First-year Emma Baldwin picked up her first career save, recording the final six outs for DePauw. Golden had the big day at the plate for the Tigers, going 2-for-4 and driving in four of DePauw’s eight runs. In the night’s second game, it was Anderson’s turn to get off to a fast start. An RBI single and a two-run double in the bottom half of the first, quickly had the Ravens out to a 3-0 lead. Ridge brought home Golden with a single in the top of the second, however, Anderson quickly got the run back in the bottom of the third. Looking to make a comeback, the Tigers made their move in the top of the fourth inning. Golden drove in a pair of runs with a double, pushing her total to six RBIs on the day, and sophomore Gabby Smart scored her on a groundout that tied the game at four. In the top of the sixth, Smart was at it again, scoring first-year KJ Holden, however, the Ravens tied the game in the bottom of the seventh to force the game into extras. It only took the Tigers one added inning to finish off the Ravens. Smart hit another run-scoring groundout to shortstop, this time chasing home first-year Lauren Godden, who turned into the winning run. Nolan got the start again for the Tigers in game two and once again lasted four innings, this time giving up four earned runs on five hits and only striking out one. Baldwin got the victory for the Tigers, throwing the final four innings giving up only one run on five hits in relief. Smart came into the game with only seven RBIs on the year, but her big day pushed her season total up to 10 in the victory. Getz, Godden and Golden all recorded multi-hit games as well for the Tigers. The pair of wins also helped the Tigers close out the regular season with an overall record of 27-12 and 14-2 inside conference play. Now the Tigers turn their attention to Denison University who will travel to Greencastle for the first round of the conference tournament beginning Friday afternoon. Keeping things the same, will be key for the Tigers as they move into postseason play. DePauw won their only two meetings of the year against the Big Red by a combined score of 14-0.